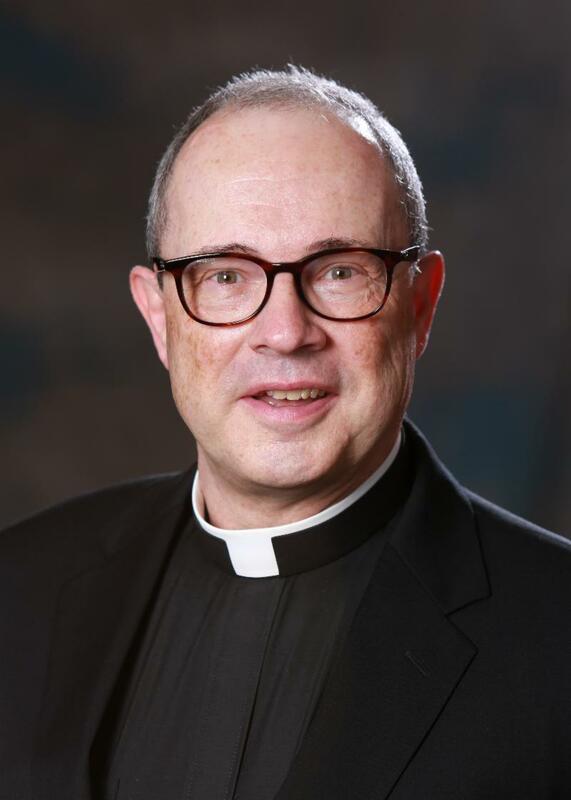 This is the second in a series of emails you will receive from Saint John's Seminary, wishing you a blessed Lent and Easter season. 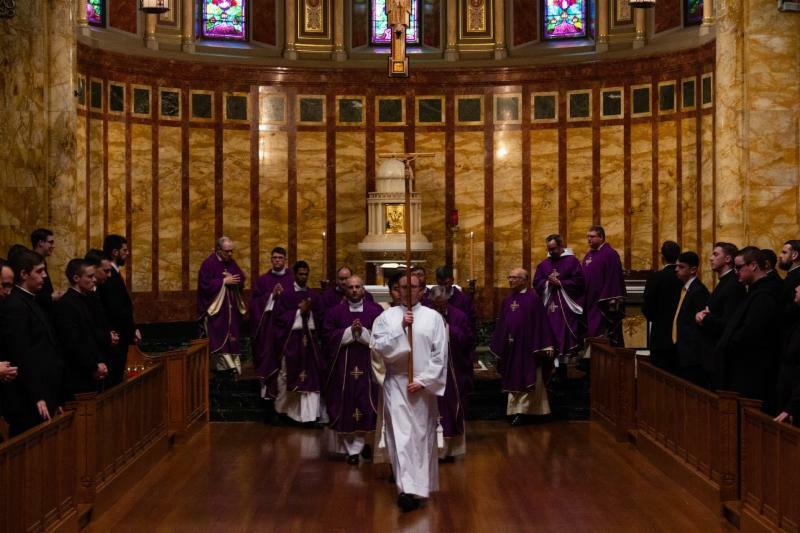 It is our aim to provide valuable Lenten resources for our constituents, as well as a glimpse into how our seminarians - your future parish priests - celebrate this most Holy season. We invite you to include the seminarians here at Saint John's in your Lenten observances over the remainder of these forty days by praying for them, fasting with them, and incorporating them into your almsgiving with a gift of support towards their formation and education. 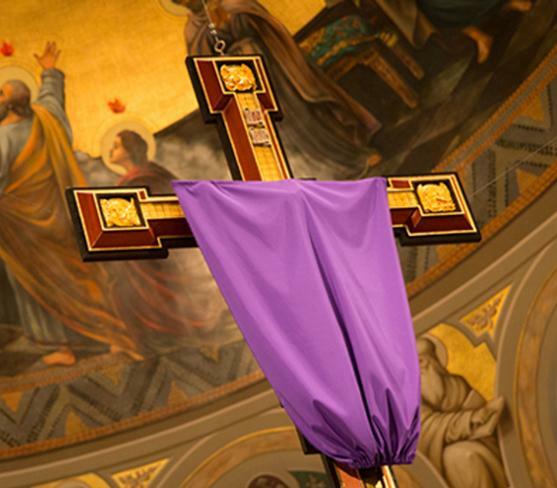 May our Lenten observance rely on the renewal God is working in us all - making us aware of our need for conversion and repentance, and more importantly directing our attention towards greater union with his Son, and motivating us toward greater love and concern for our neighbor. PS: Brother Nathan Marzonie, a candidate for the Oblates of the Virgin Mary, generously agreed in the spirit of this Lenten season to share his family's recipe for Vosbabour , or Armenian Lentil Soup, with us. 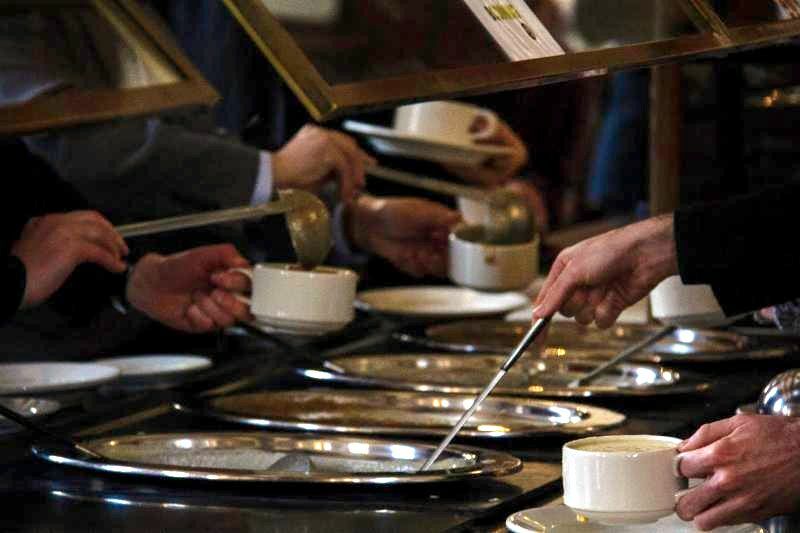 Each Wednesday and Friday during Lent, we eat a simple lunch of bread and soup while we pray in silence - and Lentil is one of the community favorites! We hope you will enjoy Br. Nathan's spin on it, below. There are numerous variations on lentil soup in the Middle East. This is a fairly typical vegan version used by Christians during the Lenten fast. It is often eaten with bread or rice; sometimes rice is cooked in the soup, but most purists cook it separately. This recipe makes a large pot (~ 8 cups) of soup. To Make: Heat the olive oil in a saucepan and sauté the minced onions and garlic. Add green pepper (see below), carrots, lentils, water, and spices. Bring soup to a boil and then simmer, uncovered, for 40-50 minutes. He Also Notes: this recipe can be adapted to taste very easily. It is traditionally spicy, but can be made without the pepper and different spices such as curry, ginger, or cloves can be used to vary the flavor. Green pepper adds a distinctively bitter note common in Middle Eastern dishes, but it can be omitted. Using more carrot and onion will make a sweeter soup. Cooking the lentils for close to an hour makes a thicker, heartier soup. For a thinner soup, add an extra cup of water and keep the pot covered.
" J ust remember not to bite off more than you can chew, and increase as Lent progresses. ﻿Also, don’t get discouraged if you have a misstep. God understands." "I carry the words of Pope Francis with me: 'Fast from grudges and be reconciled.'" "I try to think about the worldly things that are not bad in themselves, but that I might be doing in excess. Three things immediately come to mind for me: watching sports, social media and dessert. 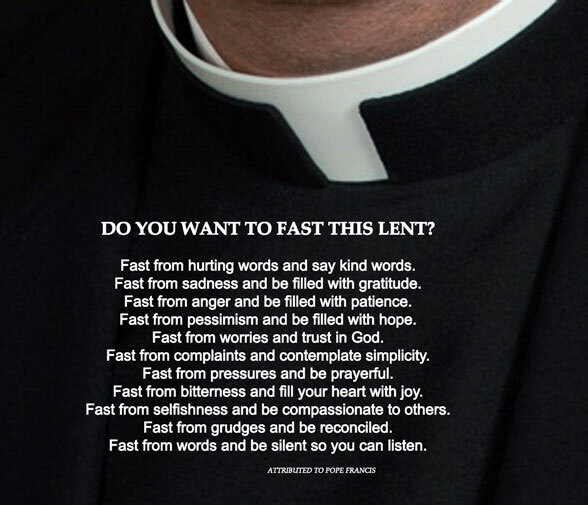 During this Lent, I will fast from these three things that I enjoy so that I can make more room for prayer, spiritual reading and adoration of our Lord." 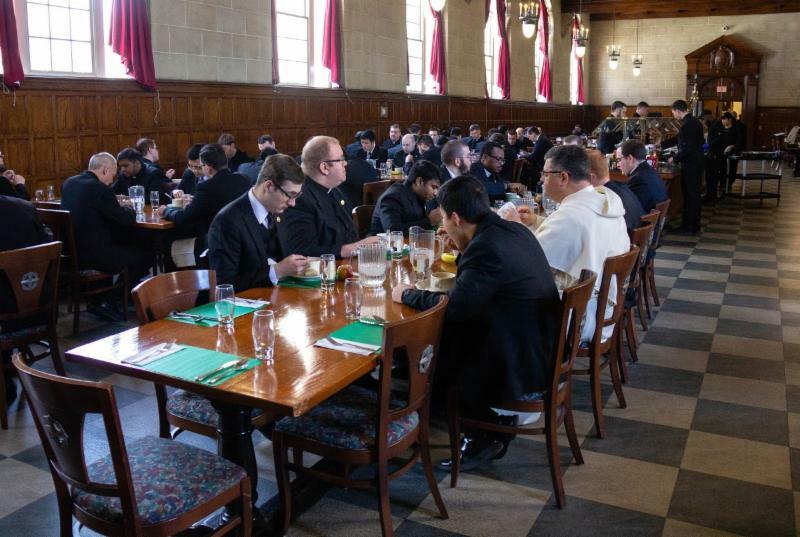 Visit sjs.edu/lent to meet the very seminarians who pray for you each day! Each week a new class will be featured, along with more photos and videos of our observances here at SJS. 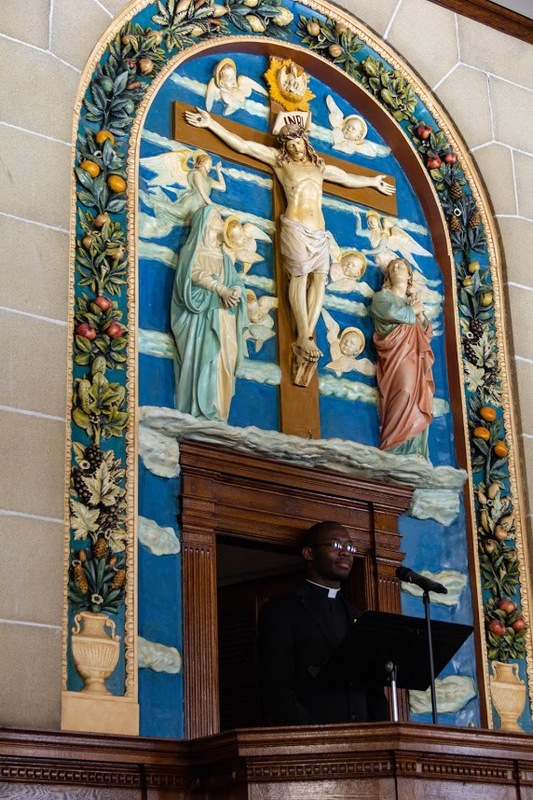 See the men who were featured Week 1 ( PreTheo I & II) , Week 2 ( 1st & 2nd Theology) , Week 3 ( RMS & ESL ), and Week 4 ( OMV, FPO, OSB, AA, OFM Cap ) by clicking the links. We invite you to incorporate the seminarians into your Lenten almsgiving by making a gift linked symbolically to the 40 days of Lent. Popular amounts in the past have been $2/day, $5/day, or $25/day, to join our Leadership Circle - or simply choose what feels right for you.